How does the Armadillow solve these problems? 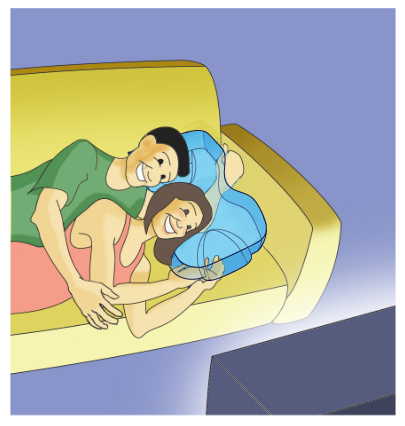 The Armadillow was created to enable more comfortable, prolonged cuddling without pain and discomfort. Multi-Level Pillowtop - The pillow itself has two different height levels. The Armadillow is thicker on one side resulting in a higher surface for the person in the back, while the front is softer and gives more so that when both people rest their heads, the one in the back can see over the person in front. Arm Channels - The pillow has a channel system on the underside of it so that your arm can easily slip through. 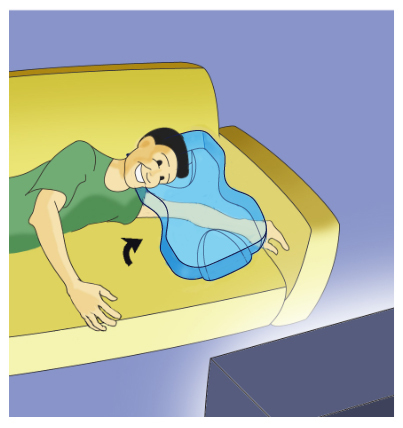 The pillow is made out of a comfortable memory foam that distributes weight evenly so your arm never has excessive pressure on it. All rights reserved, Armadillow Inc.